We provide our services to both domestic and commercial buildings as well as schools, hospitals, churches, nursing homes and technical colleges, and we have carried out contract work for the South Eastern Education and Library Board. We also understand that decorating is not for everyone and that hanging wallpaper or papering walls can be a time consuming and tiresome task. That is why you can rely on us whenever you need assistance with your interior decorating. 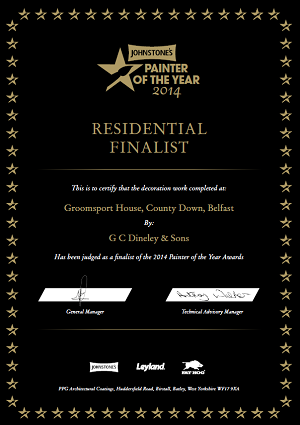 With our years of experience within the painting and decorating business so you can be positive we produce quality results every time. For your peace of mind we also offer our services to properties both internally and externally to the complete decoration both inside and out, so why not get in touch with us today? You can also have a look at our sister site, by following the link at the side of the page for more information on our services in Hong Kong. Call today for a professional finish.